The KZgunea is the Basque Country’s (region in Spain) network of free publics telecenters for training and use of ICT in all municipalities. 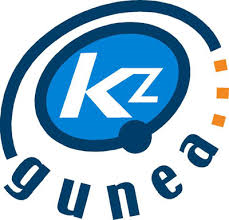 KZgunea is managed by the Informatics Entity (EJIE) of the Basque Government, and it is funded by the Basque Government in collaboration with the Basque Country Councils collaboration. There are 277 telecenters throughout the Basque Country, aimed at integrating the Basque citizens in the information society. The schools promote an open and collaborative environment where citizens can receive free training and technical support in the use of ITC to improve their employability and therefore increases their personal digital abilities. There are 120 professionals that provide the training and help services that are offered to registered users. The objectives of this service are to support the goal of the “Digital Agenda” goals, through ITC and digital training services and providing an optimal use of e-government services.